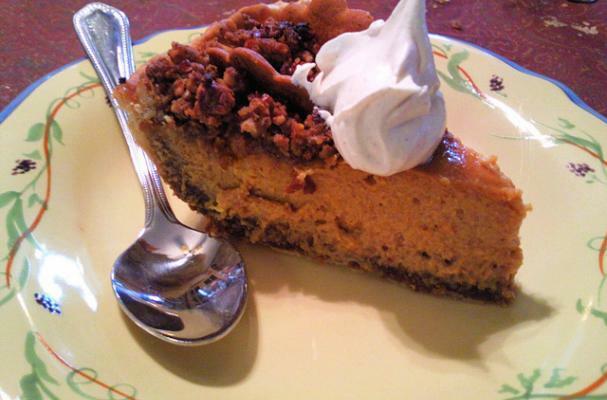 If your family has a hard time choosing between pumpkin and pecan pies, why not combine both flavors in one luscious recipe? Take a peek at this amazing recipe from Foodista member: Valerie. It has all the flavors we love, in one beautiful combination dessert. Perfect for any Thanksgiving feast.